WASHINGTON (AP) — President Barack Obama heads toward Election Day with an apparent lead over Republican Mitt Romney among early voters in key states that could decide the election. Obama's advantage, however, isn't as big as the one he had over John McCain four years ago, giving Romney's campaign hope that the former Massachusetts governor can erase the gap when people vote on Tuesday. More than 27 million people already have voted in 34 states and the District of Columbia. No votes will be counted until Election Day but several battleground states are releasing the party affiliation of people who have voted early. So far, Democratic voters outnumber Republicans in Florida, Iowa, Nevada, North Carolina and Ohio — five states that could decide the election, if they voted the same way. Republicans have the edge in Colorado, which Obama won in 2008. Obama dominated early voting in 2008, building up such big leads in Colorado, Florida, Iowa and North Carolina that he won each state despite losing the Election Day vote, according to voting data compiled by The Associated Press. "In 2008, the McCain campaign didn't have any mobilization in place to really do early voting," said Michael McDonald, an early voting expert at George Mason University who tallies voting statistics for the United States Elections Project. "This time around the Romney campaign is not making the same mistake as the McCain campaign did." McDonald said he sees a shift toward Republicans among early voters, which could make a difference in North Carolina, which Obama won by the slimmest of margins in 2008, only 14,000 votes. The Republican shift, however, might not be enough to wipe out Obama's advantage in Iowa and Nevada, which Obama won more comfortably in 2008. In Colorado, Florida and Ohio, get ready for a long night of vote counting on Tuesday. Romney's campaign aides say they are doing so much better than McCain did four years ago that Romney is in great shape to overtake Obama in many of the most competitive states. "They are underperforming what their 2008 numbers were and we are overperforming where we were in 2008," said Rich Beeson, Romney's political director. "We feel very good heading into the Tuesday election." Obama's campaign counters that Romney can't win the presidency simply by doing better than McCain. "It's not about whether or not they're doing better than John McCain did," said Jeremy Bird, Obama's national field director. "It's about whether or not they're doing better than us." About 35 percent of voters are expected to cast ballots before Tuesday, either by mail or in person. Voters always can cross party lines when they vote for any office, and there are enough independent voters in many states to swing the election, if enough of them vote the same way. Still, both campaigns are following the early voting numbers closely, using them to gauge their progress and plan their Election Day strategies. About 1.6 million people have voted, and Republicans outnumber Democrats 37 percent to 35 percent. Those numbers are a reversal from four years ago at this time. Inevitably, Obama won the early vote by 9 percentage points in 2008, giving him a big enough cushion to win the state, despite narrowly losing the Election Day vote. Early voting in Colorado is expected to account for about 80 percent of all votes cast, giving it more weight than in other states. About 3.9 million people have voted, and 43 percent were Democrats and 40 percent were Republicans. For years ago at this time, Democratic early voters had a 9 percentage point lead over Republicans. Obama won Florida's early vote by 10 percentage points in 2008, getting 400,000 more early votes than McCain, enough to offset McCain's advantage on Election Day. In Florida, Republicans have historically done better among people who vote by mail, while Democrats have done better among people who vote early in person. 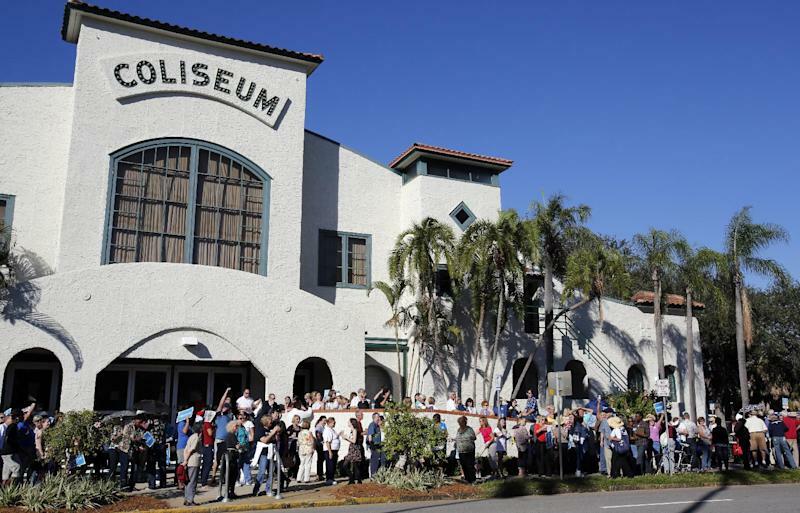 For 2012, Florida's Republican-led Legislature reduced the number of in-person early voting days from 14 to eight. The Obama campaign responded by encouraging more supporters to vote by mail, and Democrats were able to narrow the gap among mail ballots. Democrats quickly took the lead among all early voters, once in-person early voting started. But the margins are slim. The Obama campaign acknowledges it must do better among Florida's Election Day voters than Obama did on 2008, when McCain won the Election Day vote by 5 percentage points. About 614,000 people have voted, already exceeding Iowa's total number of early votes in 2008. So far this year, 43 percent of early voters were Democrats and 32 percent were Republicans. Four years ago, Obama won the early vote in Iowa by a whopping 27 percentage points, 63 percent to 36 percent. McCain, meanwhile, won the Election Day vote by about 1,800 votes — less than a percentage point. Together, they added up to a 10-point victory for Obama. Romney's campaign argues that Democrats always do better among early voters in Iowa while Republicans do better among Election Day voters, even when President George W. Bush narrowly carried the state in 2004. Obama's campaign counters that with early voting on the rise, Romney will be left with fewer Election Day voters to make up the difference. About 628,000 people have voted, and 44 percent were Democrats and 37 percent were Republicans. Four years ago, Obama won Nevada's early vote big, 59 percent to 39 percent. Obama also won Nevada's Election Day vote on his way to a comfortable 13-point win over McCain. The Romney campaign argues that Obama isn't doing nearly as well among early voters in Nevada as he did in 2008. The Obama campaign argues that it doesn't have to. About 2.5 million people have voted, and 48 percent of them were Democrats and 32 percent of them were Republicans. Four years ago at this time, Democrats had a slightly larger lead over Republicans, and Obama won the early vote by 11 percentage points. Obama lost the Election Day Vote by 17 percentage points in 2008. But the early vote was much bigger than the Election Day vote, resulting in Obama's narrow win. Obama's campaign cites the big lead for Democrats among early voters, while Romney's campaign argues that even a small shift toward the Republicans could flip the state to Romney. More than 1.6 million people have voted, and 29 percent were Democrats and 23 percent were Republicans. Forty-seven percent were unaffiliated, more than enough voters to swing the state to either candidate. 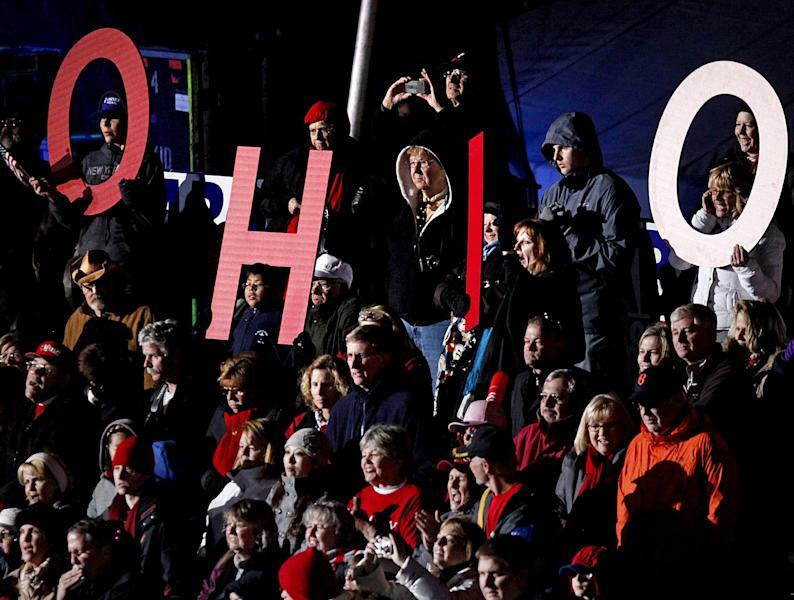 Ohio may once again be pivotal in the race for the presidency. Unfortunately, Ohio's early voting data is limited. Party affiliation in Ohio is based on the last primary in which a voter participated, so new voters and those who don't vote in primaries are listed as unaffiliated. In 2008, Obama won Ohio by 5 percentage points. Associated Press Senior Elections Research Coordinator Cliff Maceda contributed to this report.